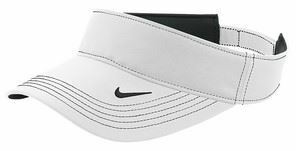 - High-performance, three-panel visor built with Dri-FIT moisture management technology. - Contrast stitching adds interest, while the hook and loop closure ensures a custom fit. 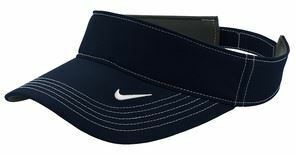 - Front panel measures approximately 1.875 h x 10 w.
- Made of 100% Dri-FIT polyester twill.